The great ales of Wales. Wales the TrueTaste. 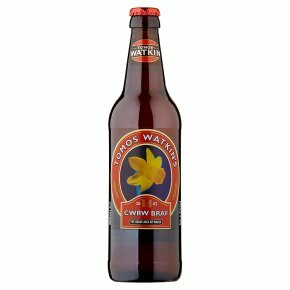 Gold Medalist World Beer Championships USA 2009.During tasting trials of this new Welsh beer from Tomos Watkin, our customers unwittingly christened the beer for us. On tasting this blend of traditionally floor malted wheat and barley and refreshing golding hops, the overwhelming response was"That's lovely!". So, here it is, CWRW Braf! Lovely Beer! Does what it says on the bottle. Iechyd Da! "Cheers"